Today is the first day of MeMadeMay and I am excited to start it off with another version of the Scout Tee by Grainline Studio. This time I used some Rayon Challis from Fashionfabricsclub.com. For MeMadeMay I will be wearing at least one sewn or upcycled garment every day. I will be posting a recap every Friday of the previous week’s outfits. THE WINNER OF THE DEL RAY BOLERO IS . . . So bright and summery with the red jeans. I love this outfit! It’s ridiculously cute! love it! giant polka dots are just so happy! This is such a great outfit! 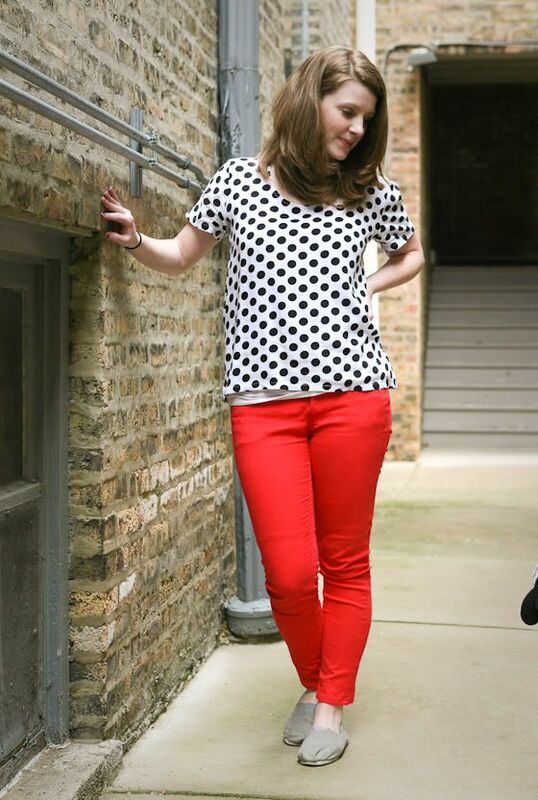 Its totally simple and wearable, but the prints and red pants make it so fun!! Glad you’re joining in on MMM! Awesome combo, good on you! Did you make the pants too? Oh man I love this version SO MUCH!!! 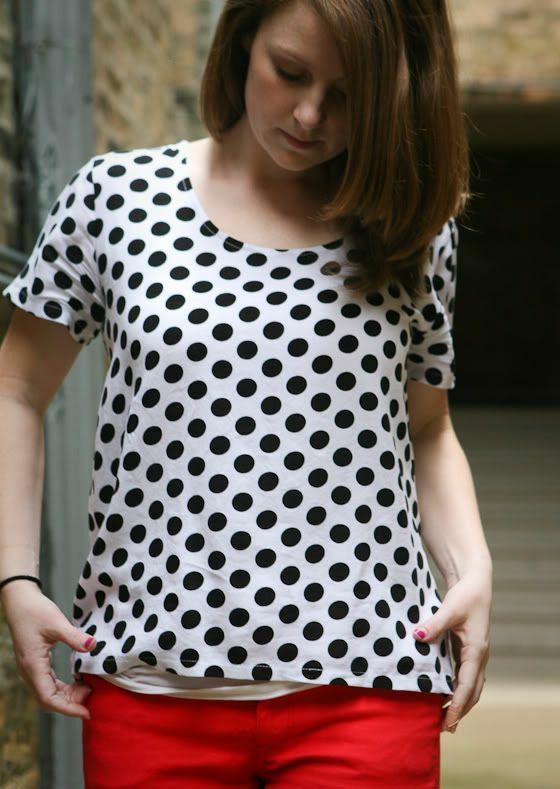 Perfect in polka dots!